You are here: Home / Blog / Software Development / Delphi / What’s new in Delphi XE4? What’s new in Delphi XE4? This time you didn’t have to way a full year to see a new Delphi release, 8 months after XE3 release Delphi XE4 is out. 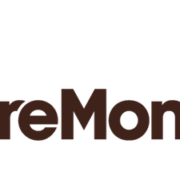 iOS development is the major topic of course and bring the second version of FireMonkey to iOS, a lot of expectation on this topic specially after XE2. New Delphi compiler for mobile platform, which brings several changes in the language and set a future path to the Delphi language, obvious these changes will affect desktop development in the future and you need to start learning about that now. RAD Studio XE4 now includes only Delphi, C++Builder and HTML5Builder. Delphi Prism is no longer part of RAD Studio, the name is dead and from now you have to refer to Oxygene from RemObjects. You can check the official communication from RemObjects here, where Marc Hoffman provide more details about the future related to .NET development with Oxygene (old Prism) and their support to iOS and Android development. Trial is already available here or if you prefer download the full Delphi and C++Builder ISO here. http://www.andreanolanusse.com/en/wp-content/uploads/2011/07/Icon_Delphi.png 170 170 Andreano Lanusse /images/BlogSlogan.png Andreano Lanusse2013-04-22 10:16:402018-01-30 23:25:38What's new in Delphi XE4? Me sorprendió mucho esta noticia, veo que la gente de Embarcadero sigue agregándole características a Delphi y eso es muy bueno para todos los que seguimos usando esta excelente herramienta. Veo que han trabajado mucho para iOS, cosa que aplaudo, pero no veo soporte para Android. I have recently downloaded 30 days evaluation pack for Dlephi XE4 Update Pack1. My issue is can I dropn 3D controls like TCube, TLight on FMX 3D Form. But I can’t see those components in runtime.